Godwin Ayodele Damilare is a 400 level undergraduate of Entrepreneurship Studies of Joseph Ayodele Babalola University, Ikeji-Arakeji, Osun State. He had a stint at Wisdom International School, Ijebu and Methodist High School by Lead City University, Ibadan, Oyo State. Our team caught up with him in Ibadan, the Oyo State capital, here is an excerpt of our discussion with him. PDC: As a student of a private university, how did you fund schooling? GAD: I paid my fees largely with my mum’s support. 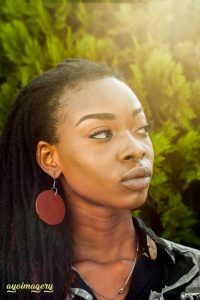 There were a lot of ups and downs as a student, however, when I was going through these challenges; I decided to use the time to improve on my skills and my first set of clients were students and my lecturers in the school. I believe that if I cannot deal with my co-students, I cannot deal with those outside my sphere of influence. I made up my mind against vices. PDC: Tell us about some of what you have done as an entrepreneur over time? GAD: I am quite versatile and I am a serial entrepreneur- I have been involved in various sectors such as crafts and agriculture. Some of my works include making cars with can; using tyres to make furniture; clothing accessories like bags, belts, suspenders amongst others and I also deal in food items especially edible dry skin popularly called “ponmo”. PDC: As a student of Entrepreneurship, are you ready for entrepreneurship outside school? GAD: I am prepared because my skills and hard work will resolve financial challenges that people usually put ahead of entrepreneurship. After school and National Youth Service, I intend to go fully into promoting African culture. We cannot continue to believe the assertion that Africa is a cemetery, the youths of Africa, see the continent as the future. 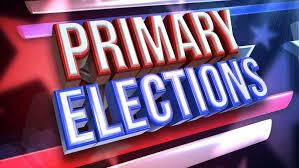 We see the future, we cannot dwell on the present to make postulation, and we will build on the future. PDC: Back to the discussion on leather works, what are the various items that you create with it? 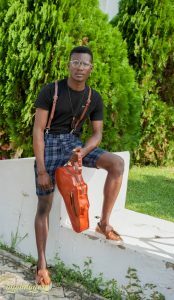 GAD: I have done a lot of creative items with leather, some of it include belts, suspenders, bags, earrings, shoes and other fashion accessories. I also create chairs, throw-pillows from it. I am currently exploring the possibility of designing laptops; cars, number plates with leather, these are some of the future projects. PDC: Under whose tutelage did you learn leather works? 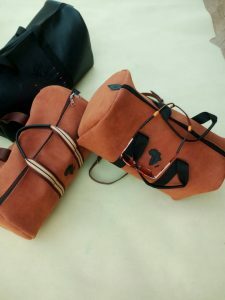 GAD: I forcefully learnt leather works from my Mum, when I saw that it was one of the mainstay of the family. My decision was to use it to sponsor myself and feed people. In the last seven years, I have learnt further and I have greatly improved on it. PDC: let’s go to the financials, how much do you make in a year? GAD: Well I cannot do a comprehensive analysis now but I know it is in hundreds of thousands. Having said that, I know that after paying my school fees, I would start to build my savings again through all these businesses. PDC: What do you want people to remember about you? GAD: I want them to think of the future; I am not here for either the past or the present. I am for the future. We are to make Africa proud of us. During one of my classwork, it was noted that South Korea developed their nation through the culture and Nigeria can also do the same. PDC: What’s your advice for budding entrepreneurs? GAD: Don’t think about money (salary) but think of solving a problem. Ensure that you create the top of mind awareness such that you will be described with the solution. 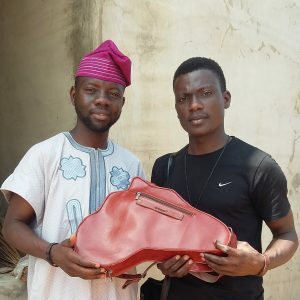 Among my peers in school, I am known as “Godwin… the guy that creates with leather.” As an entrepreneur, develop quality products to delight your clients. Solve the problem first before you think of the additional resources which will sooner or later be added unto it.